The back-stop carriage has a pneumatic probe device that senses the lead of the material.When contact is made the conveyor drive system decelerates and creeps into position. 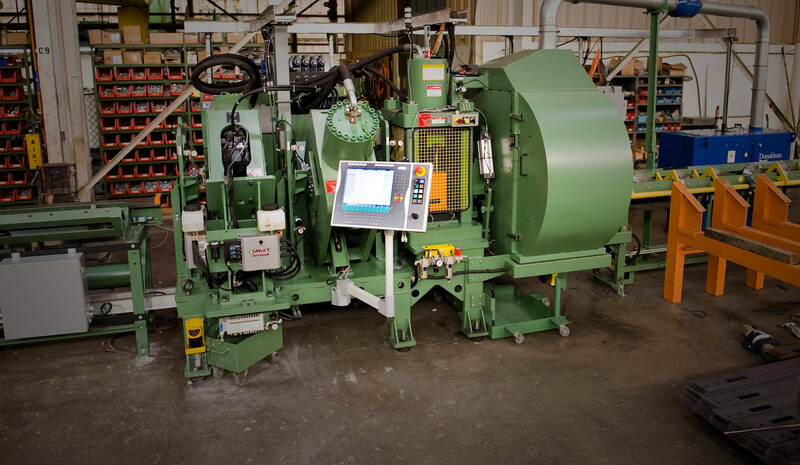 The back-stop is designed to hydraulically lock into the programmed position.The “In Position” sensor locks the conveyor drive system until the saw cycle is complete. This unique design prevents the material from making any “hard-stop” contact with the carriage unit. The touch screen control provides the operator programmable length input and various material handling control. 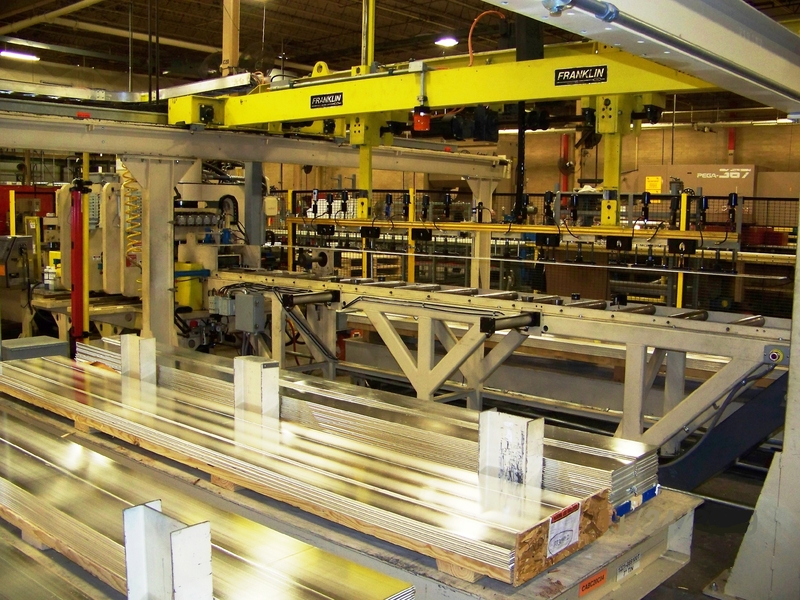 Franklin Manufacturing, Inc. provides various engineered and standard material / conveyor handling systems. 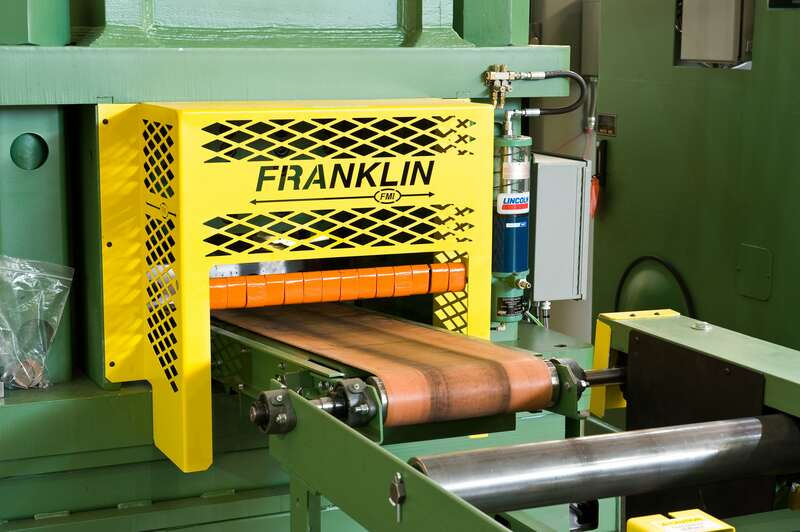 Based on your application, weight and material flow requirements, Franklin can provide the complete system.